Successful trading involves many components. This includes the choice of broker, trading strategies, and the skills of the trader. Another equally important factor is the assets used. Brokerage companies offer a large selection of derivatives of various types, including major currency pairs, as well as corporate stocks, stock indices, etc. Each asset has its own features concerning exchange rate formation, which in turn affect trading strategies. Therefore, experienced traders pay special attention to this, and they only trade on certain currency pairs at set times. This article will be devoted to a brief overview of popular assets. Also, recommendations on suitable choices will be given based on trading tactics, personal preferences, volatility, and other nuances. Some brokers do allow what was mentioned in the beginning of the paragraph. They let you trade with such exotic goods as, for example, wheat or coffee. However, that is an exception to the rule, and the types listed above are standard and available from almost all brokers. At the same time, the range of available trading instruments in certain categories varies greatly and depends on the particular company. Let’s look at each type of asset listed in more detail. They are, without exaggeration, the most popular type of financial instrument used in trading. This special type of asset in the form of a currency pair is used on the internet on exchanges and futures markets. From the name it can be understood that we are talking about two assets that form a pair. That is true, and trades are conducted in two currencies where one of them is set against the other. 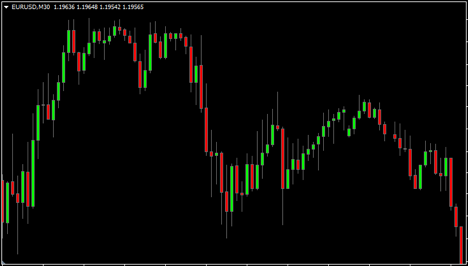 For example, in the most popular pair of EUR/USD, the indicator is how many dollars one euro can purchase. This value is called the rate or quote. Trading platforms offer their users a huge selection of currency pairs. Again, binary options play a role here specifically, because all user trades actually remain inside the system. However, the rates are real, and brokers receive them from official sources which in turn have a direct link to the world’s largest exchanges and national state-owned banks. In fact, you can create pairs of any currencies, but for options there are usually only those combinations that are traded on the classic exchanges. Currency pairs offer a number of advantages, in particular, high volatility (exchange rate fluctuations during the day), an extensive range, interdependence and correlation, as well as versatility and the ability to use a variety of trading systems with them. As a result, absolutely all binary options brokers offer this type of asset. It is precisely these pairs that make up the necessary base that satisfies the vast majority of users. It is also worth mentioning that a considerable percentage of BO traders started trading on Forex. And that is an international exchange where trades are predominantly for currencies, although there are also other assets, but there are significantly less of them for options. To make it clearer, let’s compare the volatility indicators of two popular currency pairs. Let’s start with the most popular among traders – EUR/USD. In a typical trading day, the intensity of price fluctuations is about 40-80 points. The euro usually shows a strong reaction against the backdrop of key news releases. 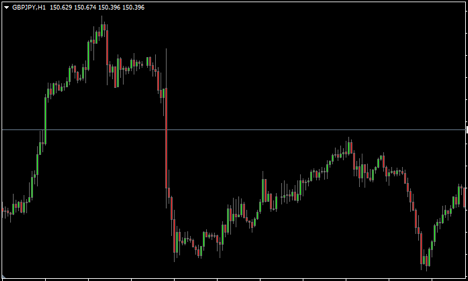 Below is a screenshot of the Meta Trader terminal from the EUR/USD charts on the 30-minute timeframe. There are also more volatile pairs. For example, GBP/JPY (the British pound paired with the Japanese yen). Often during the day, the intensity of the oscillations exceeds 100, and often 200 points as well. An example of the chart is given above. Sharp price jumps are clearly visible, and a similar situation is seen on the hourly chart. In fact, there is no fundamental difference in the approach to currency trading (when compared to all other assets). However, they are the most popular. The reason here lies in the convenience of using them. First, they are very well suited to both technical and fundamental methods of market analysis. Secondly, a high level of volatility significantly expands the horizon of opportunities from the point of view of traders. Intense price fluctuations allow you to open a large number of trades in a short period of time. Namely, turbo options with expirations of less than 5 minutes are the most popular among BO traders. Constant rollbacks and uneven price movement on the chart provide lots of opportunities for the various strategies and techniques used by experienced traders. They include risk insurance, position hedging, etc. Such an approach makes it possible to, first of all, minimize financial losses in situations where it becomes obvious that the forecast was incorrect, and secondly, apply the most effective trading strategies with high percentages of profitable trades. Such systems are usually based on the simultaneous opening of two cross positions with the subsequent closure of one of them, which allows you to get part of the funds back, and the remaining losses will be covered by the profit from the opposite position. The strategy of trading on the news is very popular among traders. And it doesn’t involve delving into the subtleties of fundamental analysis. The large portal Investing has developed a unique tool that collects information about key news events and displays it in a form that is concise, yet most informative in terms of trading. It is called the Economic Calendar. The advantage of this service is that, in addition to information about upcoming events, it provides forecasts on market reaction to news releases, as well as historical data. In addition, currency charts are characterized as well “behaved” in relation to the subsequent signals received as a result of applying methods of technical market analysis. For this purpose, traders use various indicators, scripts, as well as chart and visual analysis. Both methods are good in their own way. However, when trading on technical analysis signals, you shouldn’t forget about the Economic Calendar and make sure to periodically have a look there. Generally, when news is released the price usually behaves in an entirely unpredictable manner (concerning technical analysis techniques). However, a fundamental approach will you allow to predict such a situation in no time. Therefore, experienced traders always combine the two approaches to market analysis to get the best possible result. This type of asset originates from the very first commodity exchanges where real products were traded. They included grain, fuel and other goods. Precious metals are usually also included in this list, but we put them into a separate category at the beginning of this article. Most binary options brokers offer their clients oil, gold, and silver to trade. These tools are the most popular. There are a number of strategies that were developed specifically for precious metals – for gold and silver. But there are companies with a very wide range of assets in this category – natural gas, coal, wheat, sugar, and much more. Commodity trading has its own characteristics. Commodities are usually chosen by those who apply fundamental methods of market analysis. From the point of view of technical analysis, the price chart is only partially suitable, then quite often periods of downtime are observed with subsequent sharp jumps. This is especially noticeable on small time intervals. Therefore, turbo options are practically never used for this. However, in terms of analysis at a fundamental level, there are many opportunities. For example, the situation in the oil-extracting sector directly correlates to its price. If, for example, the shares of the world’s largest companies show a downward trend, then we should expect similar behavior from the Brent oil price. Similar studies can be conducted in other areas in addition to energy. To ensure that trading raw materials is effective, it is necessary to make forecasts that take into account many factors. This is only possible for experienced traders who are capable of conducting detailed analysis of certain areas and niches of the market. Many nuances are taken into account. For example, if we are talking about food, then there is clearly pronounced seasonality. And this, in turn, allows you to open long positions using hedging and risk insurance. From all of this we can conclude that raw materials are not the right assets for beginners. However, a professional approach will make it possible to obtain forecasts of high accuracy. Fundamental analysis of commodity assets is easier than it is for currencies, because they are affected by relatively fewer factors. Shares do not need any further introduction. This type of asset also enjoys moderate, stable popularity. As in the previous case, they are chosen by traders who analyze information about specific companies. A professional approach will allow you to catch hidden trends that soon lead to either increases or decreases in capitalization volumes. As for classic investing in stocks, profits are earned only if their price increases. And when trading on binary options you can earn a profit in any situation. The main thing is that the direction of the forthcoming movement should be predicted in advance. Anticipating the behavior of the exchange rate is simple enough in some situations. For example, Apple shares almost always show a growth trend just before new products are presented. However, this does not guarantee a profit, because capitalization may begin to decline immediately afterwards if investors consider the products to be not as promising as expected. This example is used to understand the general principles of market analysis when trading assets of this type. Exchange indices are a special type of asset which, in comparison to the types discussed above, are the least popular among traders. They represent the average value of a set of indicators in a certain sphere. For example, the Dow Jones Industrial Average forms its exchange rate by adding up the total capitalization of a few dozen of the largest companies in the US in the manufacturing sector. To effectively trade on indices, the trader needs to have a good understanding of the economy of that country, and they also have to delve into the subtleties of that particular production niche. This is definitely not suitable for beginners. Recent years have seen a rapid increase in the popularity of cryptocurrencies. And binary options brokers are not sitting out on the sidelines, they, too, support this global trend. In 2016-2017, leading companies added a number of trading assets with popular cryptocurrencies, including Bitcoin, Ethereum, Litecoin, and others. Also, some brokers added functionality to deposit and withdraw funds via cryptowallets. There is a lot of potential for this type of asset. Its distinctive feature is extremely high volatility. Such strong variability of the exchange rate over short time intervals is a novelty in the history of exchange trading. For example, at the end of 2017, there were days when the rate of Bitcoin changed within one day up to $5,000. That is hundreds and thousands of points on the chart. Such a situation would be impossible in principle for any other type of asset. Unlike all the types of assets discussed above, cryptocurrencies do not have a unique link to the economic situation in a particular country. Of course, this has an effect, but there is no direct correlation. Therefore, the main factor affecting exchange rates is the demand for a particular currency among real investors. Also, good results are shown by the so-called logical pricing forecasting systems.